In a GoMemphis article published yesterday, my long-time homie, former band mate, partner-in-crime, and fellow-Winslow, Matt Shaffer -better known as Phat Matt Winslow, is getting some hometown love for throwing hip hop shows in Memphis. This has always been something we've striven to do in the Delta (since our early days in True Head Camp) and it is good to have someone giving credit where credit is due. I am in Nashville nowadays, but it always good to know a friend is doing well and keeping the dream alive. Promoting shows isn't really a fun job -especially in Memphis- so I give props to Matt for doing it, doing it, and doing it well. Give the article a read and if you are in the Memphis area go to the show tonite!!! SADAT X (founding member of Brand Nubian) is still killin' the game and his rhymes are always on-point. It's gonna be hosted by DJ Hush and the show features a strong supporting cast from Memphis. 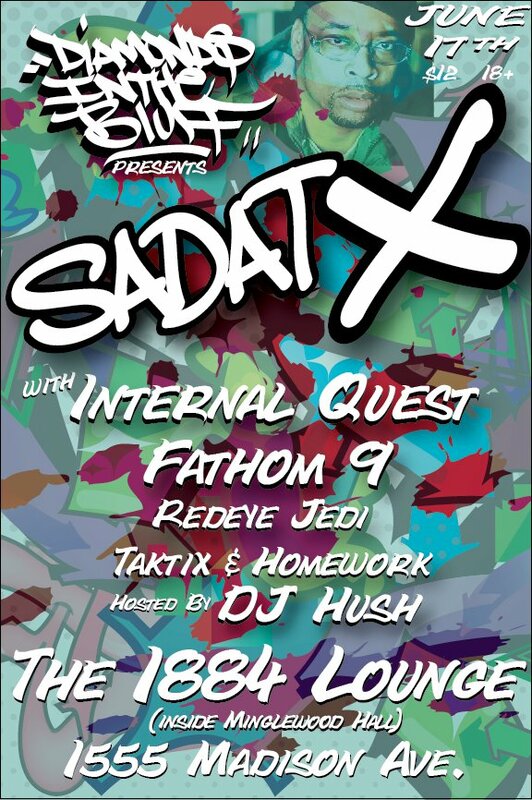 Fathom9 (of Iron Mic Coalition and the Genesis Experiment), Taktix w/ my buddy Homework (DJ, producer and the owner of Westham Records) and the legendary DJ Redeye Jedi (founder of Memphix) will all be warmin' it up for Sadat X. This is definitely going to be one of the dopest hip hop shows Memphis has seen in a while.